Jungheinrich Group doesn’t believe in a ‘one size fits all’ approach. Instead, it focuses on providing customised solutions to ensure the long-term profitability of its customers. Founded by Dr Friedrich Jungheinrich in 1953, the eponymous company continues to distinguish itself by its passion and innovative ideas in the field of intralogistics. What began in a small workshop in Hamburg with fewer than 10 staff has evolved into an international group of companies with locations in 39 countries and a global network of more than 17,000 employees. As a world leader in material handling equipment, warehousing technology and material flow engineering, the company is certainly not afraid to blaze a trail for its customers. 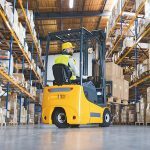 Jungheinrich is a premium manufacturer of forklifts and electric counterbalance trucks, reach trucks, pallet trucks and stackers, narrow aisle trucks, tow tractors, racking and fully automated intralogistics solutions. A subsidiary of the Group, Jungheinrich South Africa (SA) is a direct sales and service organisation that has served a range of regional customers since 2015. Managing Director Lucile Langrish-Smith started her journey with Jungheinrich in the UK in 2005, where she spent her first five years as Head of Finance and Controlling, and the following five as Director of Finance and Administration, before relocating to launch the SA arm in 2015. “It’s been a challenging few years, but I’ve never liked it when things are too easy,” she reveals. “Although South Africa had a medium-sized material handling market, the dealers here hadn’t seen a lot of success. The way I saw it, the market was open to anybody who was willing to put in the effort,” she adds. “I had to start from scratch so it’s almost like this company is my baby. I moved to South Africa and managed the legal arrangements, hired the staff and set up our offices. Lucile explains that her finance background gave her a huge advantage in setting up a sustainable business in South Africa. “It allowed me to manage both sides of the business in a balanced way. I knew I had to invest in order to grow, which presented a challenge because the beginning of any business is always cash-intensive – especially when you’re growing a fleet from the ground up. Lucile admits it’s never easy to find a great team. “Sometimes people don’t fit and there’s always room for improvement. But I’m proud to say that the team we’ve built work incredibly well together. Over the next 12–18 months, my focus will be on ensuring that, as we grow, we don’t lose our dynamic and pragmatic customer-centric approach,” she says. “Growing this team means not only professional growth, but also personal growth – which I’ve done a lot of in the past couple of years. The team has to grow in order to match changing customer demands. At the end of the day, we have to remember that whatever we do, we’re doing it for the benefit of the company and the customer. According to Lucile, the greatest obstacle standing in the way of the company’s growth is poor brand recognition. “We started with zero customers so we literally had to go knocking on the doors of medium–large corporations throughout South Africa. Fortunately, we had a number of key international accounts at group level, which we’ve been able to use as examples of our capabilities to overcome a previously poor service reputation and to increase brand awareness,” she explains. Ultimately, Lucile believes in the power of a down-to-earth approach. “We’re not in the business of fancy words or advertising. We simply show customers the strength of our international brand, what we’re capable of and how we can make their job easier. This simple approach also goes for Jungheinrich’s growth plan for South Africa and its relationships with clients. “Because we essentially started from scratch, we have a continuous growth plan across all segments. There won’t be a year where we’re not focused on growth, whether that’s people, product or financial – and we’re very ambitious about it,” Lucile explains. “In our first year, we went from zero to ZAR53 million (€3.4 million) turnover and we continue to experience double-digit growth year on year. We’ll stay on this path until we become number one. “When it comes to our suppliers, whether they’re local or from Germany, we always try to maintain an open relationship where any issues are dealt with in a direct and collaborative way,” she says. By avoiding internal politics and showing mutual respect to competitors, Lucile explains, the business has formed an impressive number of strong relationships in South Africa given the short amount of time it’s been in the market. “We’re always working towards the national Black Economic Empowerment program to reduce inequality and ensure we’re supporting the local economy. For me, partnerships are about open discussions and transparent dealings; nothing under the table,” she says. Jungheinrich South Africa’s technical product offering and sales, and after-sales service is top of the range, as you would expect from a German company. 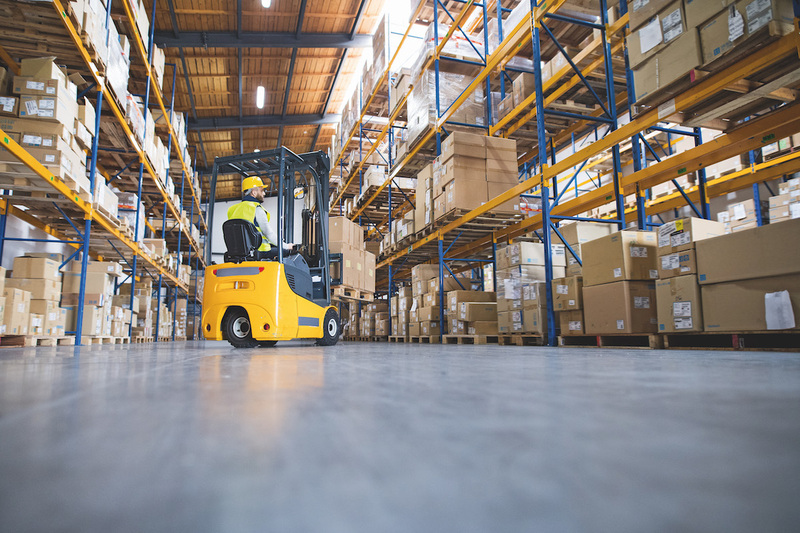 “We offer an extensive range of solutions for customers – all the way from forklifts to five-tonne automated racking machinery – and we’re the only company in the region that offers these onsite. We started as a material handling company and have expanded into the technical warehouse equipment area, and that’s a strength no other company offers,” Lucile says. Woking towards a sustainable energy future, Jungheinrich is careful and considered in its use of natural resources and is continuously developing energy-saving products and engaging in long-term collaborations with not-for-profit organisations. “We are highly advanced in the battery technology field, offering a cleaner and more sustainable energy in the form of lithium ion,” says Lucile. “Although South Africa isn’t yet automated to the level that Austria and Germany are, we’re still providing services to improve the performance of our customers.